Due to easy operation and installation, 3 ton gantry crane is using in many workplace, such as the small factory, warehouse or garage in family. Adopt to advanced technology and rich experience, our company is capable to design and produce 40+ 3 ton gantry cranes for sale. Because of cheap price and high quality, our company’s 3t gantry cranes is very famous around the world. 3 ton gantry crane made by our firm- the leader in 3t gantry crane industry mainly includes the BMH type single girder electric hoist semi gantry crane and simple traveler gantry crane 3 ton. 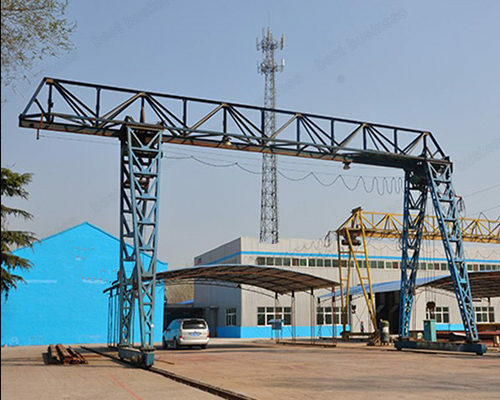 Traveler mobile gantry crane 3t owns simple structure, which is made up of five main parts, the steel I-beam, tackle, steel foot, electric hoist and truckle. 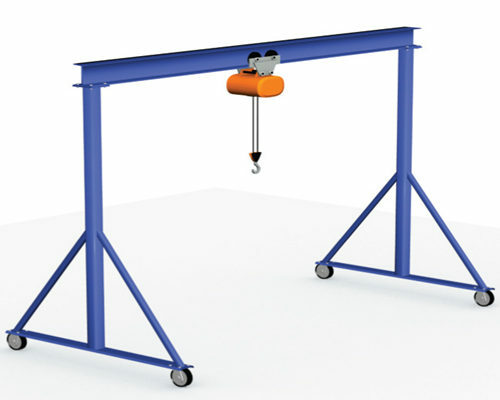 Usually, these adjustable gantry crane 3 ton can be move freely, and raise work efficiency by motor driven or manually operation to. 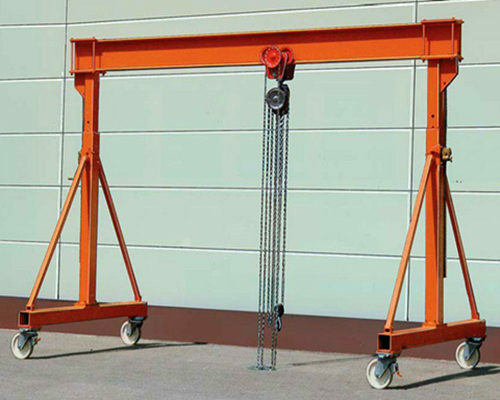 Commonly, the traveler gantry crane 3t can lift the goods from 0.5 ton – 10 ton, and owns2-16m span, 2-12m lifting height and A2 work duty. Of course, we can custom design your particular single girder gantry crane 3 ton with different parameters. Using the 3 ton gantry crane, you can maximum cut down manpower and reduce operating cost of production, leading to high work efficiency and safety. Easily move 3t gantry cranes all-aroundand quick take apart and installation simple in the place you want. Widely used in many working environments, such as the mould factory, motor repair factory, mine area, construction sites and grain, sugar factory. Generally speaking, the BMH type electric hoist semi gantry cranes 3 ton for sale is designed as box structure considering safety and stability. Usually, the support legs of 3 ton gantry crane have the difference of height and were decided by the building requirements of working place. 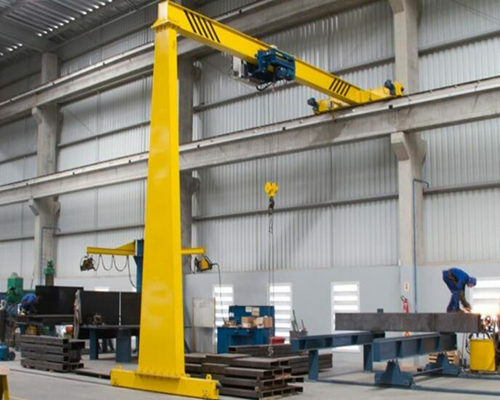 When the LD type single girder overhead crane or MG type double girder gantry crane aren’t the ideal lifting solution, maybe you should think about the BMH type electric hoist semi 3t gantry cranes for sale. One of end beam of BMH gantry crane 3t is working in crane girder, and the other is working in ground. Compared with single girder overhead crane, the BMH type electric hoist semi gantry crane 3 ton save the factory’s investment and space, at the same time, utilize smaller production space than MH type electric hoist single girder gantry crane 3 ton for sale, thus the BMH type electric hoist semi 3 ton gantry crane for sale is well welcome around the world. 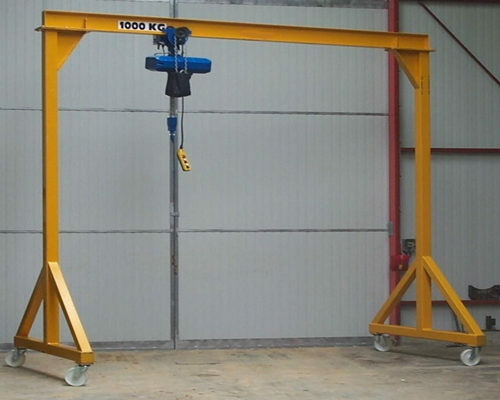 BMH type electric hoist semi gantry crane 3 ton for sale from the leader manufacturer in gantry crane industry usually holds the 2-16 ton lifting capacity, 5-20m span, 6-12m lifting height, and A3, A4 work duty. 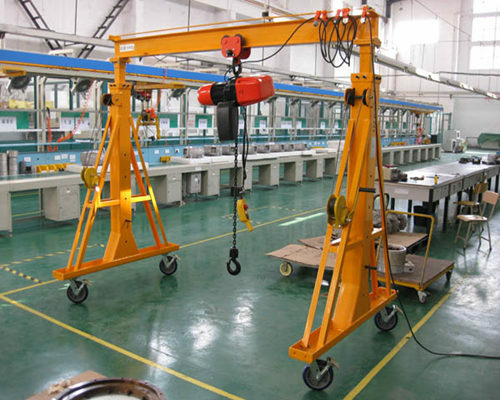 Besides we will also offer you the free custom design service with 3 ton gantry cranes for sale for all our customers. Both these two kinds of gantry crane 3 ton for sale all made in strict production standard, and we willoffer you free test service and send you test certification. 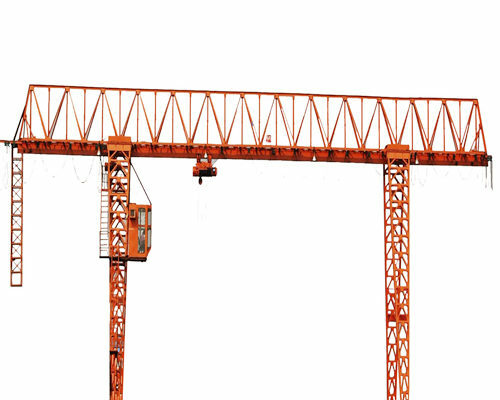 All including free design gantry crane projects, free training for installationand operation, one year free maintenance and lifetime maintenance. 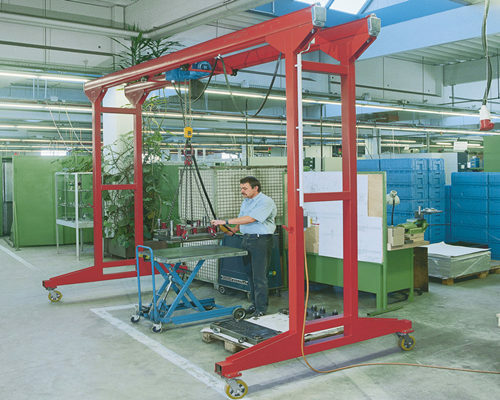 The BMH model electric hoist semi gantry crane 3 ton owns higher work duty A3 or A4, which is best suitable for the heavier and busier work, while the adjustable 3 ton gantry crane is only A2, which is fit for garage, family or small factory usage. BMH owns more lifting capacity until16 ton or even more, while the mini gantry cranes 3 ton only to 10 ton, as well as the 20m span in BMH 3 ton gantry cranes, while 16m span in traveler gantry crane 3 ton for sale. During the detailed introduction between BMH type electric semi gantry crane 3 ton and traveler gantry crane 3 ton, you can choose your suitable 3t gantry crane for sale, or you can just send your free inquiry to get your free design suggestion. The design of enclosed track will save around two-thirds of the power compared with traditional girder type gantry crane. Truss steel rail brings bigger span and more flexible for the installation of a gantry crane machine. Using the high quality cold rolling steel plate ramming formation, a 3 ton gantry crane is equipment with high precision, light dead weight and smooth surface. 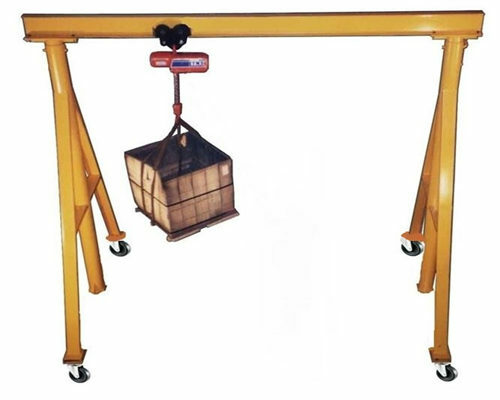 Litter wheel pressure and wide applicability make the 3 ton gantry crane be a hot product for many working environments to transport goods. High safety and working efficiency can reach fast investment return for a business. Send your 3 ton gantry crane demand now.